Sites must take appropriate steps to ensure the health and wellbeing of the workforce. Wellbeing initiatives foster positive mental health and make for a more productive workforce. Site management thought about what they as individuals do to relax and de-stress when they are at home. Each member of staff then developed a short taster session to offer members of the workforce an introduction into their hobby. 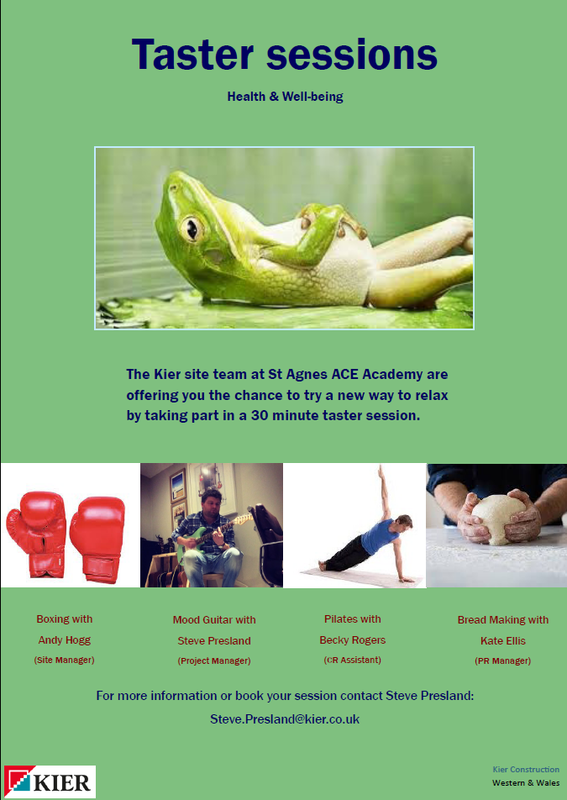 Activities included boxing, guitar, pilates and bread making. The initiative was promoted through flyers and proved a great success. The added personal touch of this initiative enhanced socialisation on site while also advising operatives on activities which could help them to de-stress after work. Monitor report. Kier Construction. Cornwall. April 2017.